On Friday, July 13 I stepped into a house built by my 9th great grandfather, Benjamin Balch. No, I am not making this up. 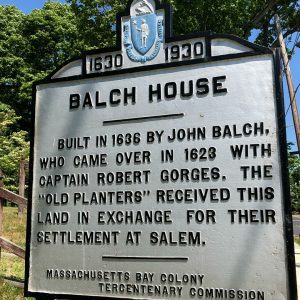 The Balch House, located in coastal Beverly, MA, dates to 1679 and is one of the oldest wooden houses in North America. 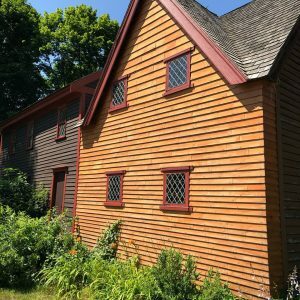 I discovered the amazing house last summer while poking around on Ancestry and other internet sites finding a direct link to this old Massachusetts family. Benjamin Balch, wife Sarah and 11 children lived in the existing frame house on Cabot Street in Beverly (next door to Salem). Benjamin was the son of John Balch, a fisherman from Dorchester, England, who came to the new world in search of opportunity: fishing for cod, drying it on racks and exporting it as “stock fish” to Mother England. The Dorchester Company of fishermen eventually founded what is now Salem, MA before it had any witches to hunt. Visiting this house was a rare privilege—not only is the wooden structure extremely rare, but it’s open to the public. Entering the front door, I tried to envision the people who had lived here—in their tall black hats, wide white collars and buckled shoes. I tried to soak up the 17th century in the atmosphere—imagine what it would have been like to live within those plastered walls, sleep beneath those pegged beams and tread those 12-inch planked floors. These ancestors back 12 generations–would have depended on British ships for tea, linens and hardware—even the diamond-shaped glass for the windows. A display of archaeological findings included bits of china, pottery and a shoe buckle, items left by the Balches—people that contributed to my DNA. The house remained in the Balch family into the 20th century. In the upstairs bedroom, our guide told us a startling story about one of my distant uncles. In April 1690, the Balches’ 19-year-old son David became gravely ill and reported visions of a “confederacy of witches”—a group of local women—whispering at the foot of his sickbed. He named two of them: Sarah Wildes and Dorcas Hoar, the latter reputed to be a fortune teller in Salem. This “spectral evidence” was later used against both women who were accused of witchcraft two years after David’s death. Wildes was hanged July 19, 1692. Hoar, though condemned to death, was reprieved after Gov. William Phips put an end to the witch trials when his own wife was accused. In all, 20 people and two dogs were put to death for being involved in “witchcraft” during the 18-month horror. The human victims were later exonerated, though it was of little comfort to the accused, their families and friends. 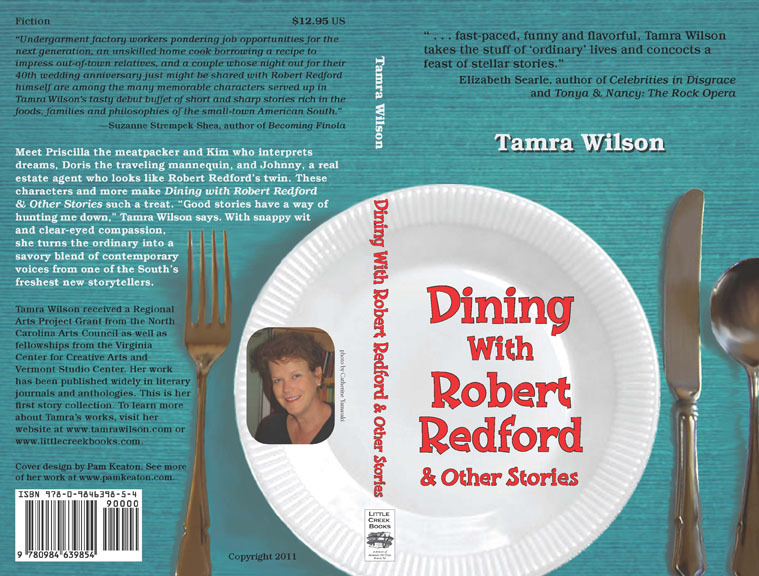 Investigating further, I found that Deacon Peter Woodbury, another of my 17th century uncles, was dragged from his quarters and caned during the witch hunt frenzy. He was then in his 50s and a respected member of the community. I don’t know why Peter was caned, but mobb violence is nothing new and it’s never pretty. Greed, gossip, ignorance and old grudges figured into the Salem hysteria. As accusations mounted, paranoia and fear gripped Salem and much of New England. That ugly chapter in American history is all the more real to me now, knowing that my family lived at the epicenter of the fury those terrifying days. How did they cope? How did they deal with the knowledge that their dying son’s hallucinations had contributed to a young woman’s execution? 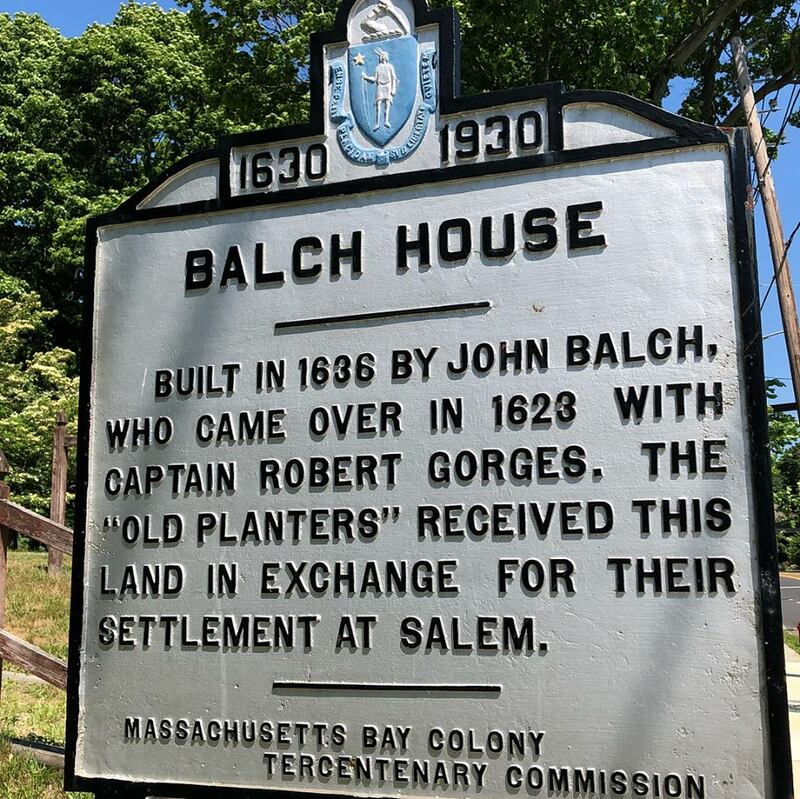 The Balch House is located on land deeded to John Balch in 1636. The original house was replaced by son Benjamin in 1679.